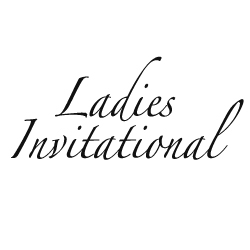 The Toronto Cricket Skating and Curling Club is proud to announce that the 31st Annual Ladies Invitational Tournament presented by Swarovski in support of the Doug Philpott Inner City Children’s Tennis Fund was a sold out success! 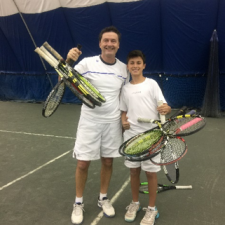 This two-day tournament and gala, held January 28th and 29th, was attended by over 250 tennis enthusiasts and Philpott supporters. Thanks to Tennis Canada, Swarovski and Twain Designs as the major event sponsors. With Stephen Warboys, Head Tennis Professional at the Toronto Cricket, Skating and Curling Club as the host of the Gala themed “Play It Forward”, this event (plus the Tennis-A-Thon) raised over $100,000 for Toronto’s priority needs children. It takes only $25 to send a child to camp for a week, so this event will give over 4,000 children a chance to try tennis and to keep busy this summer. This is huge for us, for the charity and ultimately for the children. A big thank you goes out to the tireless work of the Toronto Cricket Skating and Curling Club staff and Philpott Ladies committee. The committee, under the enthusiastic leadership of Julie Rober, consisted of Sophie Ronan, Karen Leonard, Sandra Cimetta, Tara Quigley, Elizabeth Seger, Susan Raubenheimer, Livia Hunter, Caroline Killeen, Pauline Noteboom, Carrie Sullivan, Sylvia McCord and Janet Cudney. 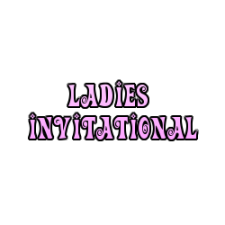 This year there were 9 divisions of competition, with four teams per division for a total of 36 teams. Thank you for the court time at the following clubs: The Granite Club, The Cricket Club, The Toronto Lawn Tennis Club, The Boulevard Club, Lambton Golf and Country Club, The Badminton and Racquet Club, The Donalda Club and York Racquets. The rivalry was fierce but fun, because at the end of the day, everyone realized they were part of something much bigger than a two day tennis tournament. They were providing opportunities for children to play tennis in areas of the city where tennis lessons were unheard of. They were giving back to a sport they love by making it possible for Philpott to expand and welcome a growing number of children into the program. Thursday night was the Play It Forward Gala. A very glamorous group of Ladies gathered to sip bubbly while listening to the beautiful musical performance by Mollie Moloney. It was also a time to meet and greet opponents and friends, enjoy a delicious dinner and bid on some fabulous silent auction items. From tennis lessons, to get away holidays, to sports events, to beauty, apparel and more, there was something for everyone! Coulter Wright brought greetings from the Philpott Board of Directors, thanking Stephen, the Ladies committee and the Cricket Club for hosting such a fabulous event and bringing us up to date on the Philpott program 2014. Highlights of the evening included a raffle for a Jamaican holiday through the generosity of Scott Smith and a draw for a $7,800 diamond tennis bracelet courtesy of Twain Design. Jamie Pope provided the heartwarming video. Photographs of the evening can soon be downloaded from the Philpott website at www.philpottchildrenstennis.ca. In 2015, the Philpott Children’s Fund will be providing 18 tennis camps to over 8,000 inner city children in Toronto’s priority needs neighbourhoods, offering them a fun, challenging alternative to summer inactivity. Through the generosity of donors and partners, qualified instructors help Philpott Kids learn more than tennis – they learn valuable lessons about physical fitness, leadership, cooperation, discipline and self-confidence. The Philpott Board of Directors, the instructors, the volunteers and the children say thank you!